Discussion in 'Some Assembly Required' started by Pezz_gs, Jan 28, 2018. 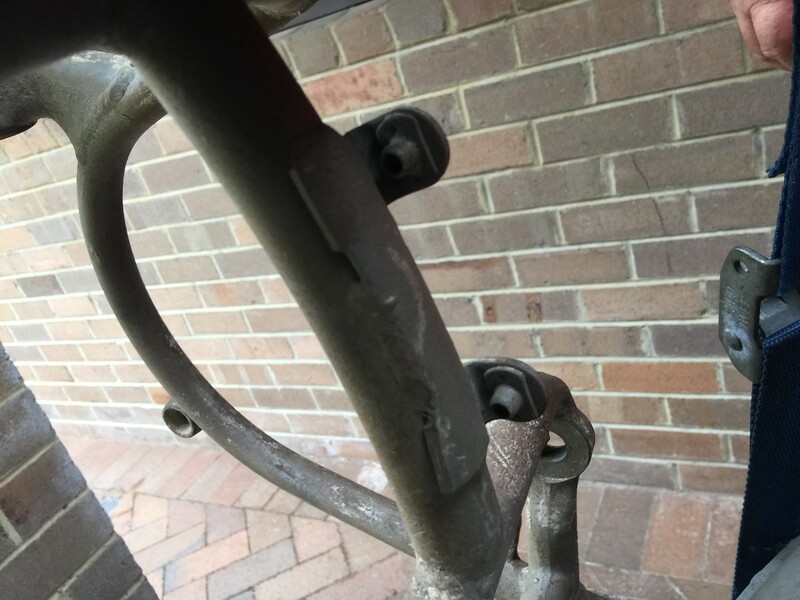 I bought these Earles Forks many years ago, and once they arrived they ended up being bent. All I have is what is in the photo's. I want to put them onto a R26 frame I am building up . . again just have the bare R26 frame too. To be able to straighten them I need to get a to brace . . I measued from the top of both legs and its 165mm centre to centre. Just want to make sure I order the correct top brace. Is it possible that these are off a /2, or not heavy enough?? Is there a good contact who plays with these I could email? 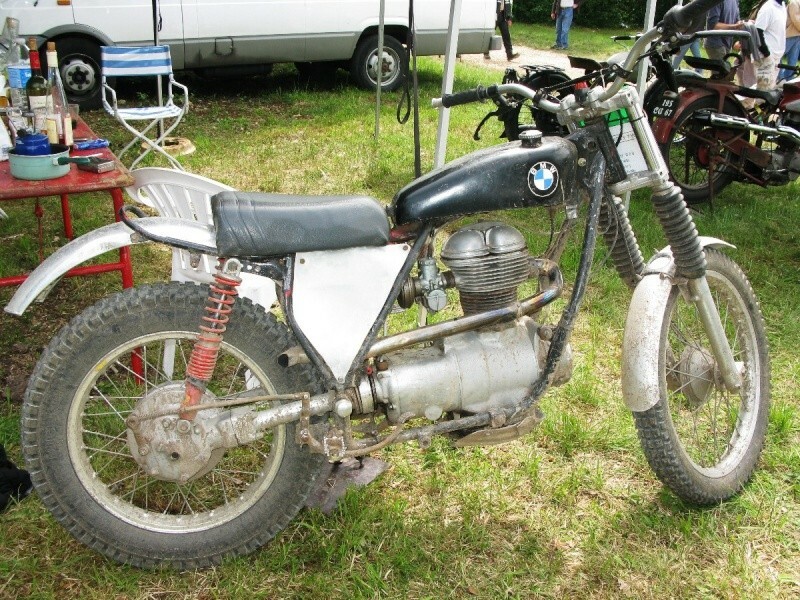 It's not a /2 (twin cylinder) fork. The swingarm lugs on the downtubes are more rearward on a /2. The lugs on the forks in the photo are much more "forward", which identifies them as R26/27. Am I correct in assuming the R26 and 27 top plate will be basically the same? I can find a part number for the R27 top plate 31412000129 but nothing for the 26 top plate? I found a part number for the R26 31412000124 but no longer available and it appears the R27 isnt either. May need a diagram to get one laser cut. . . I believe the R26 handlebar risers were rubber mounted, while the R27 were rigidly mounted? Doing this from memory, but I think that was the only difference. Top plates might be different accordingly, but either will fit the forks. A slash 2 top plate will also fit those forks, and vice-versa. lucky6600 and Pezz_gs like this. I'll take the measurements this evening for you. Bookmark this website for that sort of info as well.. 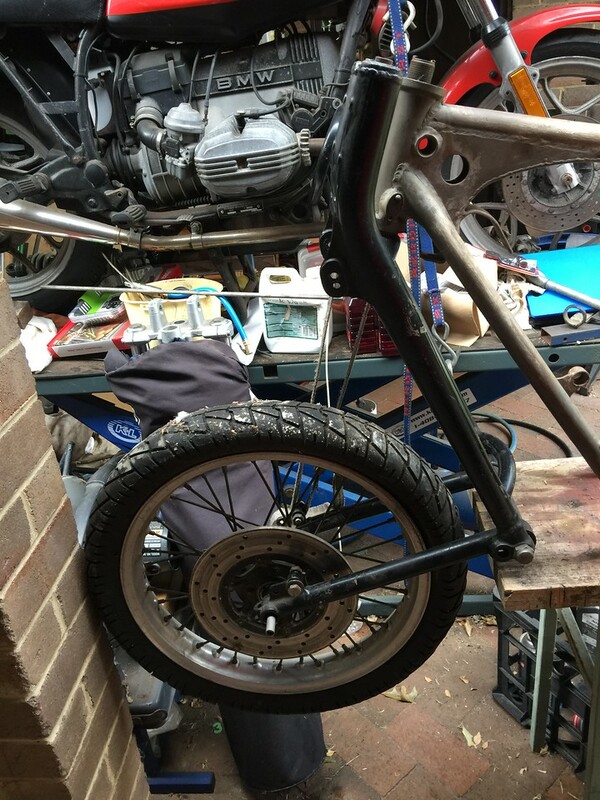 I have ordered a R27 top plate via BobsBMW which will hopefully be here in a few weeks . . . .
As I dont have any drivetrain just the frame, bare swingarm and Earle's forks I'm thinking a conversion might be on the cards. 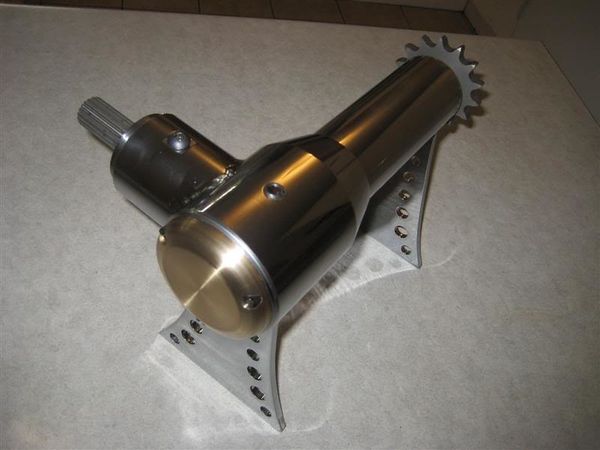 I had thought about many options but there isnt much to maintain the shaft drive. 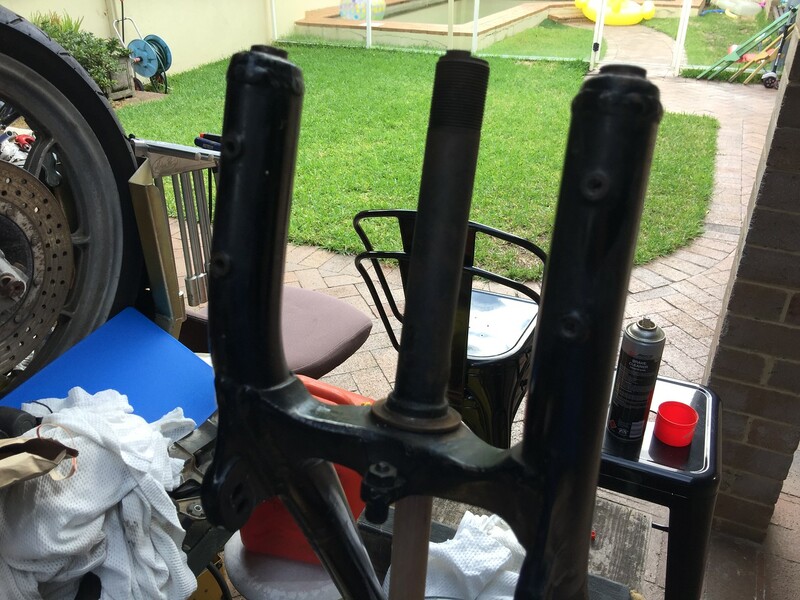 In the meantime I will get a set of Indian replica R26 front and rear guards. I have 6 airheads and I'm wanting to stay a single and aircooled. So what motor would look 'right' in the frame. . . . . I have looked an aircooled singles and some twins and therefore a chain drive. 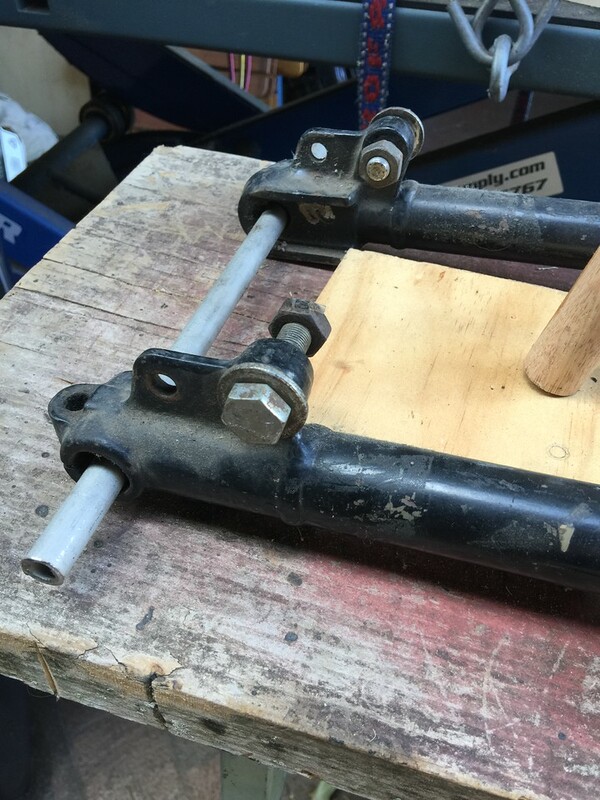 Fabricating a new swing arm will be pretty straight forward. MATTY, aptbldr, Mouse and 4 others like this. OzCRU and Mouse like this. Chain drive. Hmmm, this should be interesting. Just looking at the pricing of parts and shipping and there is so much not there that I would be easier to convert it . . . . I had breifly thought about a Diesel single. . . .
A single diesel would be worse than strapping yourself to a 100lb jackhammer... no way in hell I'd go there. Interesting challenge. Shoe horn a lc4 into it? Dunno bout clearances. 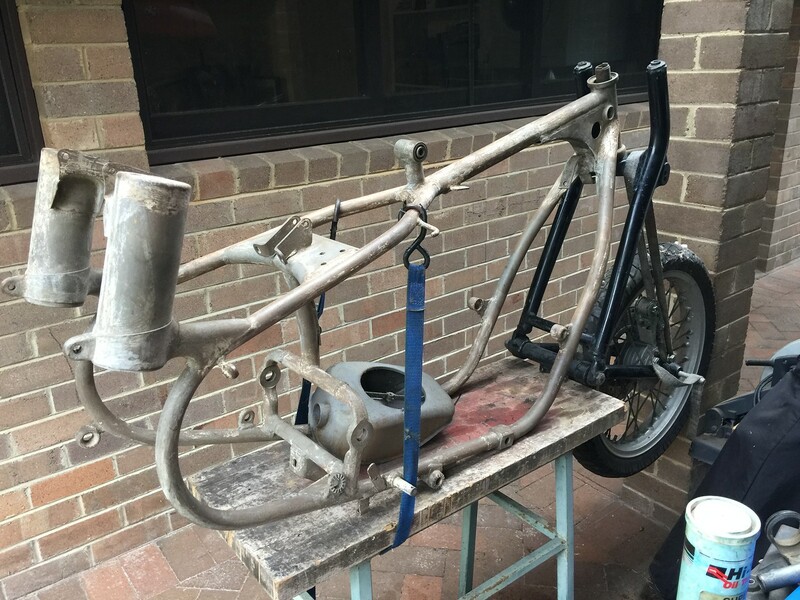 Small electric prod singles, guess you could build it off an old cb125 sort of thing. I can think of many ways to inflict pain upon myself, solving these sorts of problems is one method of pain I rather prefer to avoid. Maybe I should move this thread over to Some Assembly Required?? 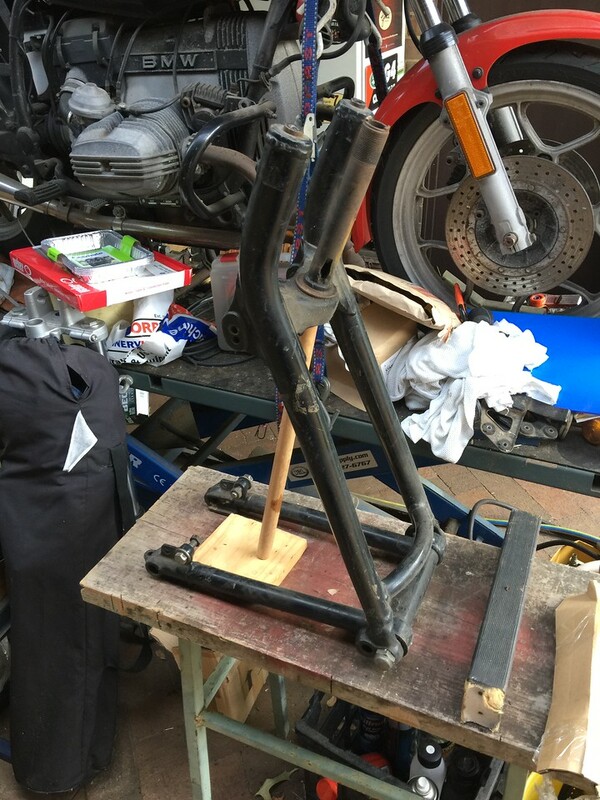 Found the fellows who made this and Im liking the idea of making one of these to mate up to the shaft drive on the RHS and have a sprocket on the left hand side that would then have a short chain to the countershaft sprocket. I will call him tomorrow and get his thoughts. Hp thief surely? But cool. Where's the turbo going to fit? Hey Mouse, yes agree with two bevels to go through . . . . it wont be a race bike. OzCRU, FR700, JagLite and 1 other person like this. Ty seat and fuel tank hmmm. 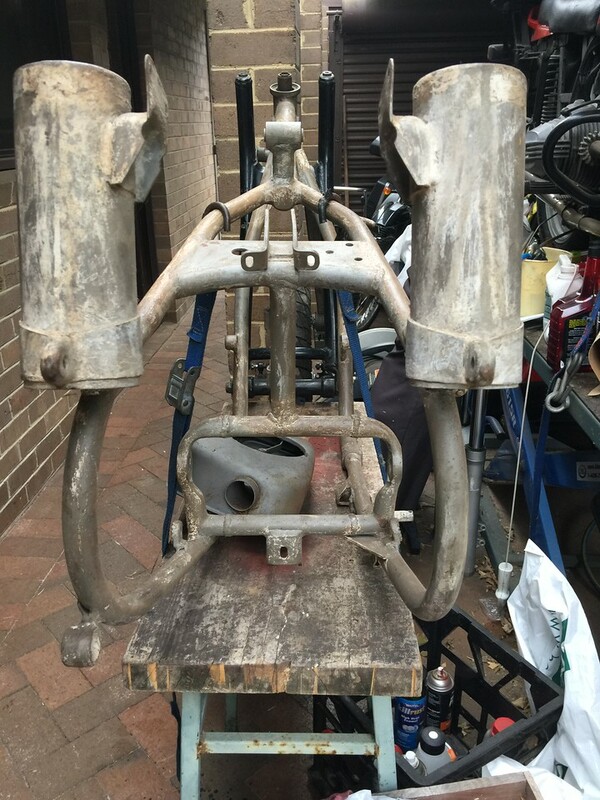 Mount the engine east west and a short chain linking drive sprocket to shaft? That'd be different.